You’ve heard about Intel Education Accelerator’s unprecedented ability to boost education technology startups with mentoring and capital. You’re intrigued. You’ve looked into our mentors and are excited about the possibility of working with innovators from Intel, The Walt Disney Co., Scholastic Inc., and other trailblazing organizations. You meet the qualifications as a business committed to K–12 education technology. Your company is inventive, has some initial funding, and created a working beta product or service, and now you’re looking to grow. You’re even focused on adaptive learning or data analytics and you’ve read our application advice from last year’s Intel Education Accelerator cohort. You’re nearly ready to apply for a chance to take your company and product to the next level. But naturally, you’re a shrewd, informed leader and want some deeper insight into the program. We’re here to help. We chatted with KiraKira founder Suz Somersall, a member of last year’s Intel Education Accelerator cohort, about their program KiraKira3D as a case study of what the program did for her business and the benefits KiraKira gained from the experience. KiraKira is focused on closing the gender gap in STEM education. “KiraKira3D teaches kids — with a focus on girls — about engineering and design-thinking through building products that they love. Things like iPhone cases, skateboards, and fashion,” Somersall explains. “Users can create 3D models and 3D-print their creations, sharing and selling them to friends.” Sounds advanced, but KiraKira3D makes it easy. “We expect most of our new users have zero experience with 3D modeling,” Somersall says. “We knew that the resources and mentorship coming from Intel Education and Intel Capital would be invaluable to our growth as an early-stage startup. [Doing Intel Education Accelerator] was one of the best decisions we could have made!” Somersall says. These are the benefits KiraKira found during the Intel Education Accelerator Program. 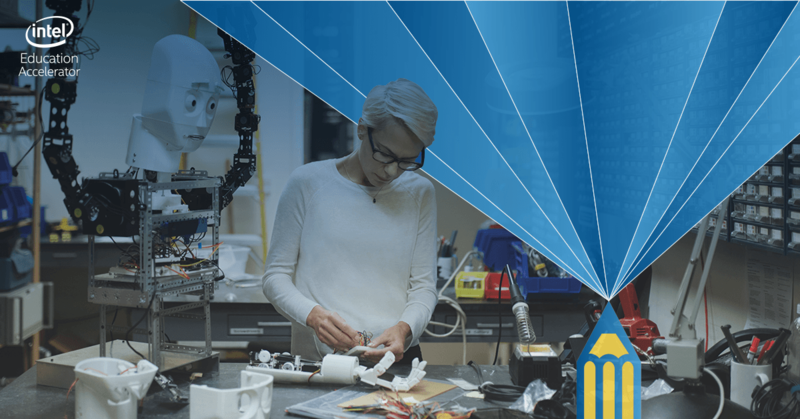 If this sounds like a good fit for your business, applications are now open for the Intel Education Accelerator and are due by April 17, 2017, 12:00 p.m. PDT. The four-month program runs from August 8 to November 29, 2017, and can be a huge asset to your company. Together, we can push K–12 education technology of all sorts forward. Previous article:vSAN Got a 2.5x Performance Increase: Thank You Intel Optane!